Learn about new funding streams, best practices, share lunch with old and new friends and take home some new tools to get the kids in your neighborhood walking and biking! 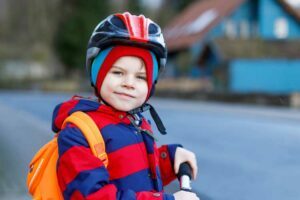 Get inspired and find resources for Safe Routes to School work in Oregon. Join us on April 26th from 9:30-11:30am for the Oregon Safe Routes to School Network Annual Meeting as folks interested in Safe Routes to School come together to learn about the growing Safe Routes to School Network and goals, plus work to move those goals forward. Everyone is invited and welcome to attend. Lunch provided. Discover new Safe Routes to School resources and toolkits to move your program forward. Meet the Oregon Safe Routes to School Leadership Committee members and learn about the Network. Updates on Network goals for 2019. Help us accomplish goals by participating in small group activities by adding your expertise. Stay for the Safe Routes to School funding workshops after lunch! For additional information please contact Brian Potwin. Other workshops being offered in 2019 will cover funding SRTS Infrastructure and Non-Infrastructure projects. See a list of events in our calendar.